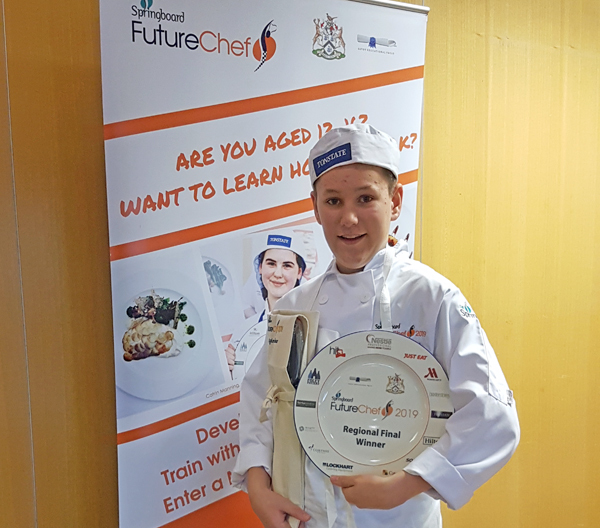 Conor Boakes, winner of South West Junior Chef of the Year 2018, also won the South West regional final of the Springboard FutureChef competition on 5th February 2019! In 2018 we established a partnership with Springboard that offered the finalists in the South West Junior Chef of the Year competition the opportunity to compete in the South West regional final of FutureChef, bypassing the earlier stages of the competition. Five of our six finalists, Conor, Jorgia, Katie, Rhys and Samantha, chose to take up their place in the FutureChef competition and travelled to Petroc College, Tiverton, on 5th February to compete alongside five other young cooks who had qualified through the school heats and the local finals to reach the regional final. The sixth of our finalists, Eva, opted to concentrate on her exams this term. All ten young cooks, aged 12-16, cooked up a storm in the kitchens preparing some outstanding menus, incorporating a main course and dessert. 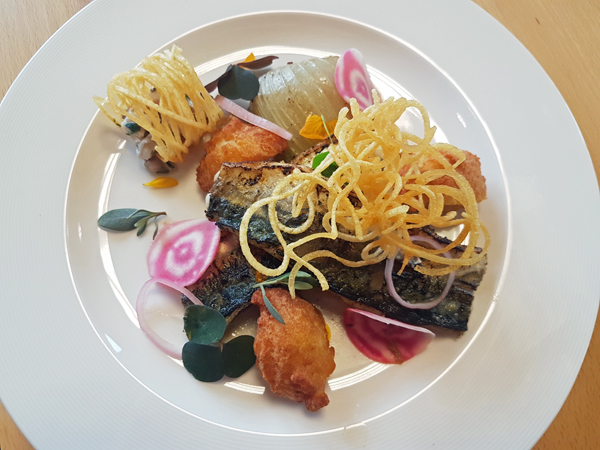 After much deliberation, the judges selected 13-year-old Conor as the winner after tasting his menu of pan fried mackerel with beetroot, Pommes Dauphine and tartare with fennel followed by apple soufflé with a blackberry sauce. Conor is a student at Whitstone School, Shepton Mallet. Conor will now go on to represent the South West at the national final in March. He was mentored by South West Chef of the Year judge and junior chef mentor, Liam Finnegan at the Castle Hotel, Taunton. Many congratulations to all competitors on reaching this stage of the competition. What an incredible final they produced! Good luck to Conor at the national final that will be held at Westminster Kingsway College, London, in March!